An appealing and sensitive reverse-survival story. "Kirkus Reviews" Cantor ("Margot," 2013) skillfully invites the reader to see our world and all its shortcomings and idiosyncrasies through Sky's questioning gaze. 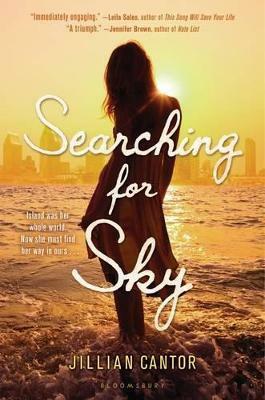 Readers will be captivated as Sky struggles to navigate her new universe, one that we know intimately but may never look at the same way again. "Booklist" The blend of mystery, romance, family story, and paradise versus civilization makes for a quick and compelling read. "School Library Journal" [A] fascinating, existential coming-of-age story . . . Sky's story leaves a quietly haunting impression. "Publishers Weekly" This title will circulate best in libraries with patrons interested in adventure and survival stories. "Library Media Connection" Cantor's what if' story combines historical fiction with mounting suspense and romance, but above all, it is an ode to the adoration and competition between sisters. "O Magazine, on Margot""